Yesterday Russel Smith followed up his uninformed ramblings about ebook sales stats with a piece that claimed that indie authors were no worse off financially than traditionally published authors. It looks like that is another swing and a miss for Smith, because the latest Author Earnings Report has come out today and it is painting a very different picture. The Author Earnings Report is a quarterly study of the ebook market which is based on sales ranking scraped from the Kindle Store and other ebook retailers. The topics vary between reports and can range from longitudinal studies to market share estimates to what have you. 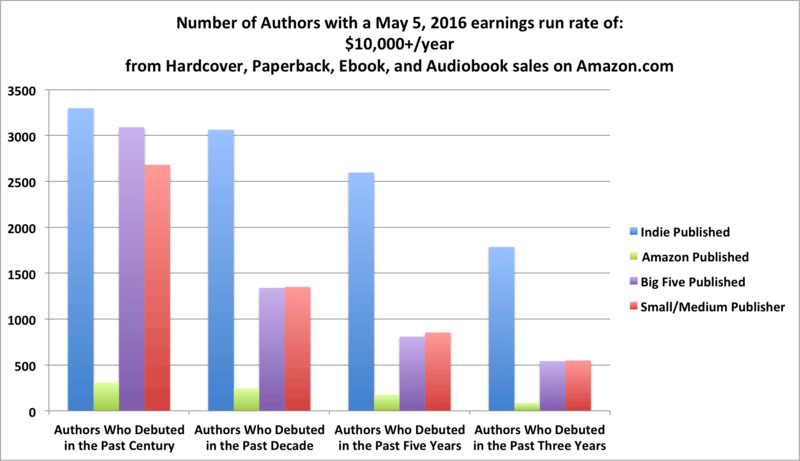 The May 2016 Author Earnings Report looks into the question of which type of authors are earning the most money in the combined book market (digital, audio, and paper). The 4 leftmost bars include every author who debuted anytime in the last century and is currently accumulating income at a rate of $10,000 a year or more from their Amazon US sales alone. The good news here is that we can see almost 9,900 such authors, although a small fraction of that represents multiple appearances by the same authors under different pen names, and another small fraction ascribes revenue to a single author that in reality gets shared with one or more co-authors: as in James Patterson’s case, for instance. Comparing this 9,900 number to the roughly 5,600 authors earning 10K+/year that we found in our September 2015 7-quarter longitudinal study is a bit of an apples-to-oranges proposition. This is a cross-sectional study, after all, rather than a longitudinal one, so we have to take any like-for-like comparison with a slight grain of salt. But even so, that September study only considered each author’s best-seller-listed Kindle titles. The inclusion here of each author’s non-best seller listed titles, too, and all of their Amazon print sales and audio sales as well, appears to have nearly doubled the count of authors currently earning in this $10K/year “tax bracket”. 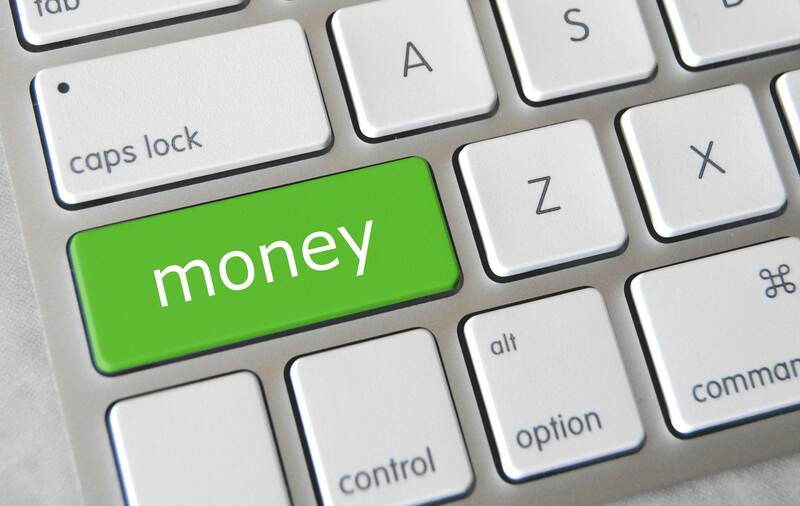 The report goes on to detail how many authors earn more than $25,000 a year, and more than 50000 a year. Guess what? Indies dominate those charts as well. You can find that info, as well as a lot more data, on the Author Earnings Report website.